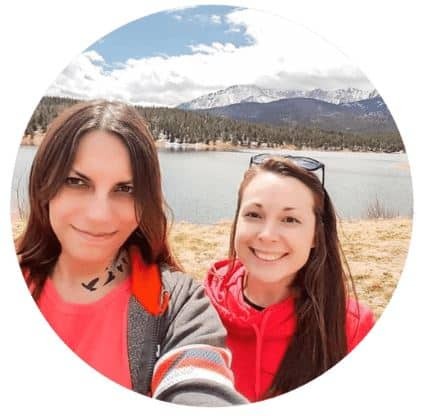 This is a guest post from Sa El, the co-founder of SimplyInsurance.com. Almost everything you read about insurance for side hustlers is always about liability insurance for the business. That liability insurance is probably the least important between the types of coverage you need to keep your business running and protect your family. 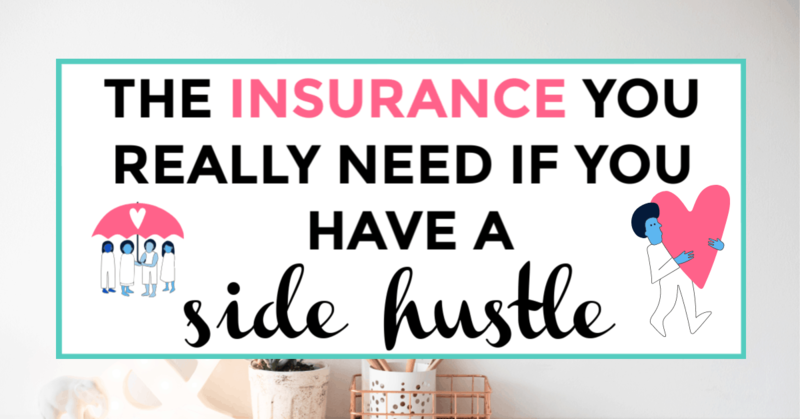 In this post, I will go over why just having liability insurance for your side hustle just won’t cut it and what steps you need to take to insure yourself properly. 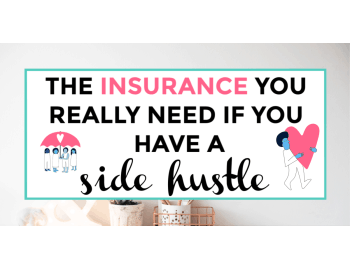 The insurance you really need if you have a side hustle pinnable image with title text and graphics. When it comes to any business, you want to have some form of liability or what is known as errors and omissions insurance. This insurance usually will protect you if you make a mistake and are held liable for damages or taken to court for an error or omission that you made based on your type of business. This coverage is essential because you don’t ever want to put yourself in a situation (especially for a side hustle or a new business), where you have to pay a ton of legal fees for something you may or may not have realized you can be sued for and held accountable. While liability insurance is vital for any business, and can easily protect you from losing your business, as a side hustle it isn’t where your primary focus needs to be. Below we discuss the coverage options you will need when you start this journey. If you have your standard 9 to 5 still and you are starting your side hustle, there is nothing more important than disability insurance. I like to call it insurance for your paycheck because that is essentially why you need this type of coverage. Most people are under the impression that if they have a desk job, they don’t need disability insurance; however, the truth is that more than half of disabilities are caused by illness. Everyone is at risk of becoming disabled and needing some disability insurance. 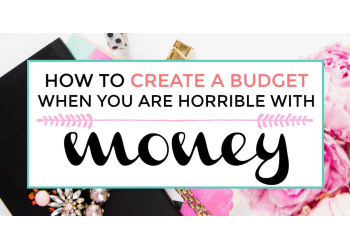 Just think about it, you decide to start your side hustle, you already work your typical 40 hour work week and boom, an illness hits you, and you can’t work or 6 months. Your benefits at work have dried up, now what do you do for income? How do you pay the bills, how do you eat? 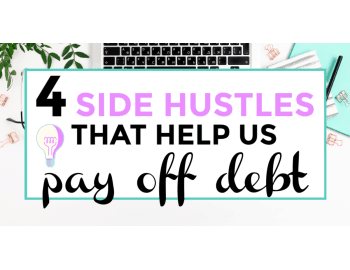 If you are deciding to go into a side hustle, you need first to make sure you are protecting your income. Then you need to protect your life. Whole life or term life? What term length should I purchase? Who should be my beneficiary? 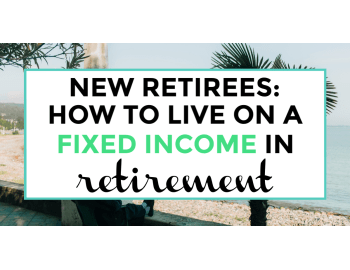 But since you are planning to have a side hustle, it is imperative that you also have the best type of life insurance. You want to find a product that has a super fast approval process, an A rating or better from A.M. Best and offers living benefits (also known as the accelerated death benefit). A.M. Best is a company that rates all of the life insurance companies based on their financial strength and ability to pay claims. As the name implies, Living Benefits will pay out while you are still living if you are diagnosed with a terminal illness, chronic illness or critical illness. If you have a stroke and can’t do anything, your family could spend years and thousands of dollars taking care of you. Having a policy with living benefits changes how life insurance works, instead of the policy only paying out if you pass away, you now have the ability to be a part of your final days. The best thing is that this benefit is usually included as a rider on most life insurance policies for free. It’s really about figuring out which company will offer the best rates and at the same time offer an accelerated death benefit attached to it. 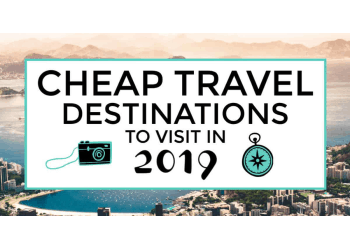 There are also a few companies that offer a sort of membership discount network as part of their living benefit package. As a human, the worst thing you can do is have bad breath and a bad smile. While it would be great if things like personal appearance didn’t matter, the truth is that the world runs on it. Almost no one will give you a second chance if you have bad breath, and if you don’t have a pleasant smile, some people would instead not work with you. On top of the cosmetic side of this issue, you are also dealing with a ton of health issues. It isn’t enough to just brush your teeth and floss daily, you still need to do your 6 month checkup and cleaning as well as get deep cleanings. A recent study showed that Alzheimer’s has been linked to poor dental health along with things like heart disease. Not taking good care of your teeth can lead you down a terrible road for both your personal and professional life. Having some dental coverage is essential to starting your side hustle and having a more healthy lifestyle. 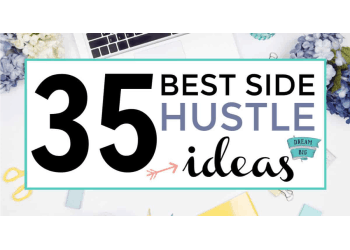 Disability Insurance, Life Insurance, & Dental Coverage, might have been the last types of insurance you thought you would need for a side hustle. But you shouldn’t start anything without the proper protections in place. Once you have those three policies set-up, you should look into any type of liability or e&o insurance. 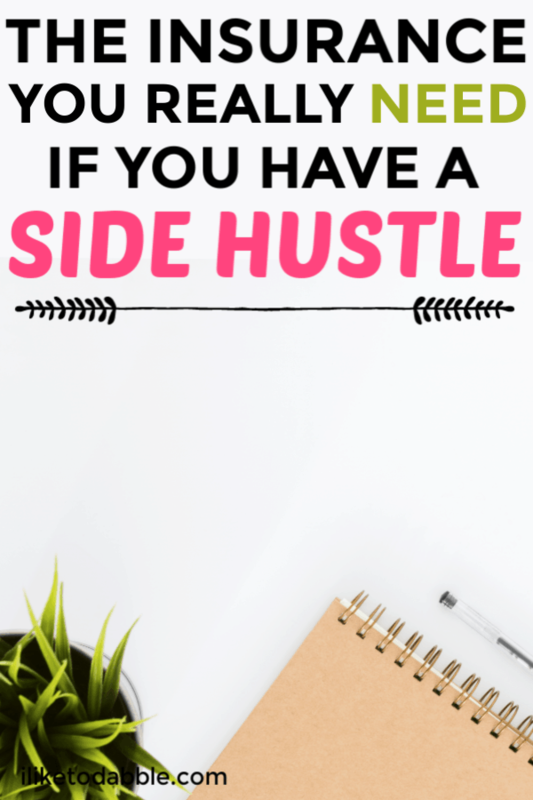 Don’t waste time and don’t wait around for things to happen, get covered and start your side hustle.